Tight and punchy loops for your projects! The Groove Loops sample library includes score files, one shots and Channel presets, so you get access to all the components you need to create your own original loops. 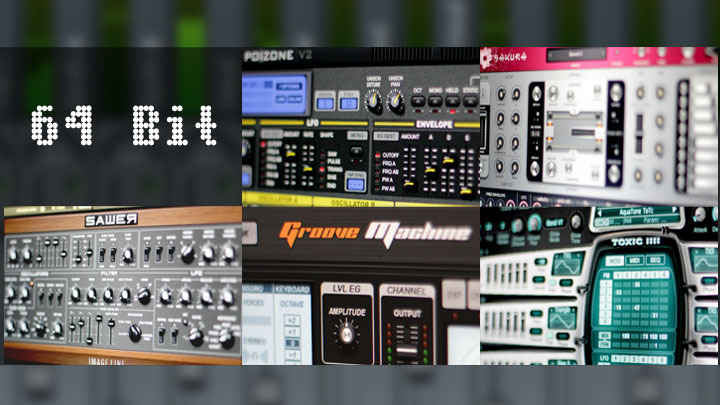 Check out the free sample pack on the product page. Sourced from projects developerd for Groove Machine and Groove Machine Mobile, these royalty free loops are ready to inspire FL Studio producers. The sliced loops are ideal for use with Slicex. Rearrange the playback order of slices or apply creative envelopes for example. Un-sliced loops for easy drag and drop to the FL Studio Playlist as audio clips. All melodic loops are based on the key of A, for easy mix and match of loops (see the demo video above). All samples are 44.1 kHz, 32bit float WAV format with integrated tempo sync data. Groove Machine Mobile 1.4.1 is available for Android and iOS, it adds user-sample support for the drum-sampler and Inter-App Audio / Audio Copy/Paste for iOS. 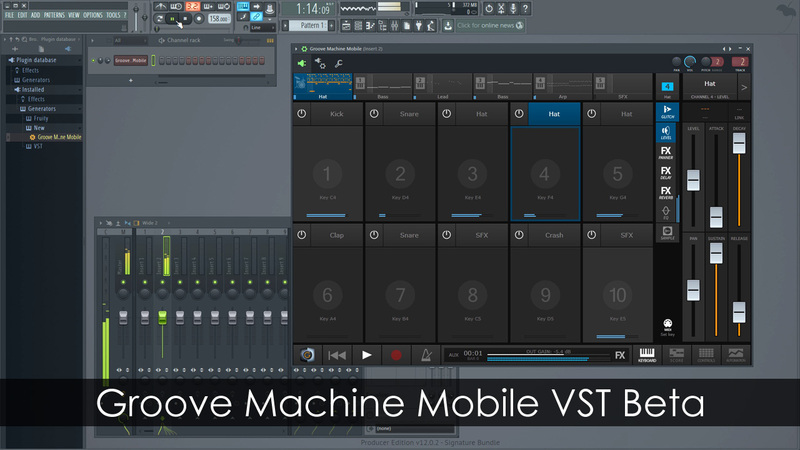 We'd also like to announce the Groove Machine Mobile VST Beta is now available for testing from the GMM user forums here. Groove Machine Mobile is now available for Android, iOS and Windows (aka FL Studio Groove). GMM is a touch-based groove production & performance App featuring a 10 pad sample-based drum machine and 5 polyphonic synth / sampler channels. Loop, sequence, edit, mix and perform live on your tablet device - all for just $9.99 USD. See the FAQ at the bottom of the page for more info. Does Groove Machine Mobile support MIDI? Yes, under all operating systems - Android, iOS and WIndows. What's the difference between 'Groove Machine Mobile' GMM and 'FL Studio Groove' FLSG? GMM and FLSG are the same application under different names - Android/iOS (GMM) and Windows 8/10 (FLSG). We changed FLSG to GMM when we released it on Android and iOS, to prevent confusion with FL Studio Mobile, which is a completely separate App. If I buy the Android, iOS or Windows version, can I get the others free? Sorry no. If it were up to us things would be different. See why not here. Does Groove Machine Mobile work on phones? Groove Machine Mobile was designed with Tablets in mind, so you won't enjoy the workflow on a phone. The controls will be too small. We recommend a screen size of 7 inches or more. There is no direct compatibility at this stage, although you can export your groove audio to wav format and import that to FL Studio as with any wav file. What is the difference between 'Groove Machine Mobile / FL Studio Groove' and 'FL Studio Mobile'? Groove Machine Mobile has been designed exclusively with tablets while FL Studio Mobile will also work on both tablets and phones. GMM is a 'groove box' style application with the focus on loop/sequence creation, loop triggering & live tweaking. FL Studio Mobile is a 'track-based' digital audio workstation (DAW) application, like FL Studio for PC, with a focus on music production & recording. FL Studio Mobile projects are compatible with FL Studio, Groove Machine Mobile projects are not.